Blackball Media is on the hunt for THREE more motoring journalists. Yes, three. You may be worrying that we’ve been feeding our latest intake to the zombies that wander Gosport High Street in search of Greggs, but they are in fact alive and well and writing many, many words (our journalists, that is, not the pasty-eating half dead). So now that’s cleared up – here’s the good news. 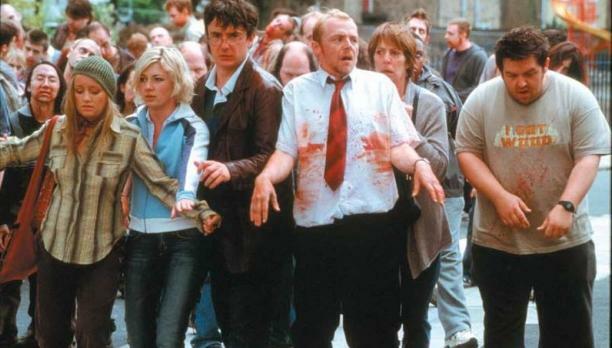 This is your chance to join our team and see for yourself Gosport’s very own answer to Shaun of the Dead. Not only will you witness the Zombie Apocalypse from the confines of a safe and, what some would describe, over-zealously policed office, you’ll also get the chance to write about cars. We’re looking for three motoring writers with a variety of experience to work on a very exciting, not-to-be-talked-about project. The details can’t yet be revealed but we can promise it will involve testing cool cars, writing motoring news and opinion pieces and travelling the world in search of great petrol-based copy. You’ll already be working in the motoring industry as a writer or will have experience that proves you know about cars and can produce sparkling copy as a result. You may be working in a motoring news team and looking for your next step up the ladder or you could be already running a newsdesk but want more responsibility. Applications will be treated with the strictest confidence. You will have good experience writing about cars for a variety of outlets and will be able to demonstrate a good understanding of motoring news. You’ll have a strong news sense, a brilliant ability to sum up the best and worst things about a car and will be hungry to develop your career further. Applicants will need to demonstrate they’ve already been published as a motoring writer. Love cars? Check. Love writing? Double check. Want to write about cars and earn money? CHECK. That’s a lot of checks. If you’re into cars and have proved you can write about them with your own blog or perhaps some work experience for some of the major motoring media outlets around the UK we want to hear from you. If you can prove you can string a sentence together and have an obsessive love of motoring this is the perfect starting job for you. Our editorial assistants are rapidly promoted through the company and with our expansion plans this could happen sooner rather than later. Close proximity to two Costas, a rather jazzy in-office coffee machine and a supply of watery coffee-coloured liquid from the canteen. Did we mention the coffee? How do you apply? Easy. Simply send an email to james@blackballmedia.co.uk explaining why you should be considered for the role you think you should be considered for. We get lots of emails so make sure yours stands out, and not because you’ve addressed it to Jane Boggoff. In your covering letter we also want to know what your favourite movie car is of all time and why, and if you had £100,000 what one car you’d buy to last you for the rest of your life. Tough. We also want to see your CV, so make sure you attach that too. Applications for all three positions close on March 31 but interviews will probably begin far sooner. So if you’re keen, prove it and get in early. *All-you-can-eat Cornettos limited to one per year on a really hot sunny day in July when the boss is feeling overly generous and decides to walk to the corner shop in the hunt for ice-based goods.